Reef draws on the spirit of the globe-trotter and adventure seeker to offer casual lifestyle footwear for men and women, as well as apparel for men that combine function and fashion for life on the road. Using technology and a host of eco-based materials, Reef continually delivers instant comfort, style, and versatility for the surf lifestyle and outdoor-minded consumer. With Big Apple Buddy’s personal shopping service, you can now buy direct from the Reef online store anytime, anywhere. 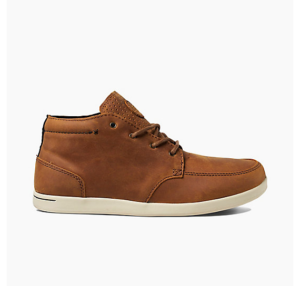 The Reef Spiniker Mid is made of a premium leather upper with distressed finishing for style. The injection molded cushion insole adds great comfort while the Reef molded rubber traction outsole provides stability. 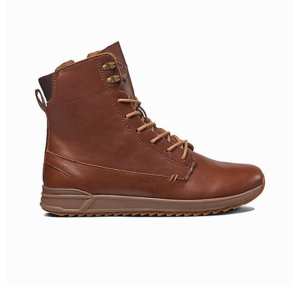 The Reef Swellular Boot LE is a premium leather women's fashion boot that can be worn in the city or when your out and about in nature. It features premium full grain leather upper, compression molded triple density construction and rugged sawtooth rubber swellular outsole. 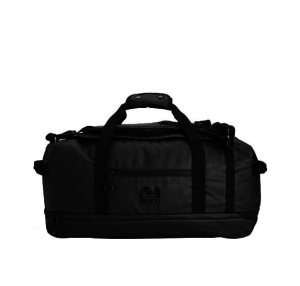 The Reef Duffel III is carry-on size duffle bag, designed for quick getaways and easy traveling. This bag also converts to a backpack with removable padded straps, for even more convenience. Made from 100 percent polyester with PU face for water repellency and wet and dry compartments for storing wet garments, this is the essential bag for every surfer, bikini babe and beach goer. Unfortunately, the USA Reef online store does not currently offer international shipping. However, Big Apple Buddy, your personal shopper, can help you buy products direct from the official USA Reef online store and ship them to your doorstep, no matter where you are in the world. We offer international shipping to over 110 countries including Australia, Austria, Azerbaijan, Bahrain, Belgium, British Virgin Islands, Brunei, Bulgaria, Canada, Chile, Costa Rica, Croatia, Czech Republic, Denmark, Estonia, Fiji, Finland, France, French Polynesia, Germany, Gibraltar, Greece, Greenland, Hong Kong, Hungary, Iceland, Indonesia, Ireland, Israel, Italy, Japan, Jordan, Kuwait, Latvia, Liechtenstein, Lithuania, Luxembourg, Macau, Malaysia, Maldives, Malta, Marshall Islands, Mauritius, Monaco, the Netherlands, Netherland Antilles, New Zealand, Norway, Oman, Poland, Qatar, Romania, San Marino, Saudi Arabia, Serbia and Montenegro, Seychelles, Singapore, Slovak Republic, Slovenia, Spain, South Africa, St. Lucia, Sweden, Switzerland, Taiwan, Thailand, the UAE, the UK, Vatican City, and Vietnam. If you would like to buy from the USA Reef online store, simply let us know which items you would like to order ((by filling out the form below) and we’ll get back to you with a free international shipping quote within 24 hours!